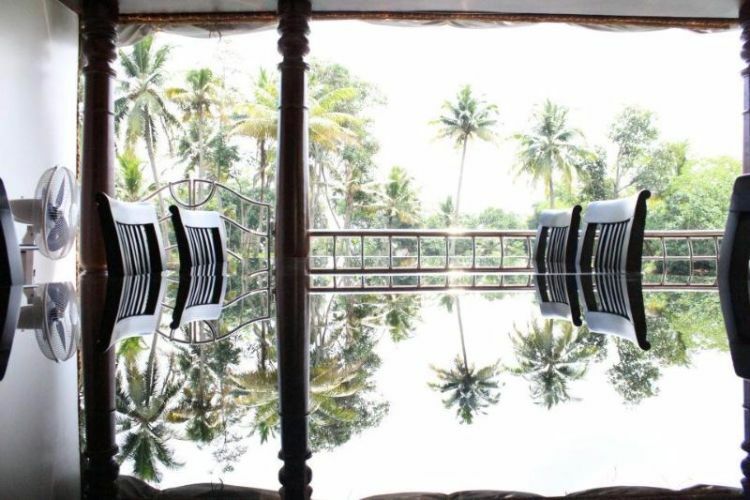 Kerala is a coastal state in India that is renowned for its serene emerald waters. 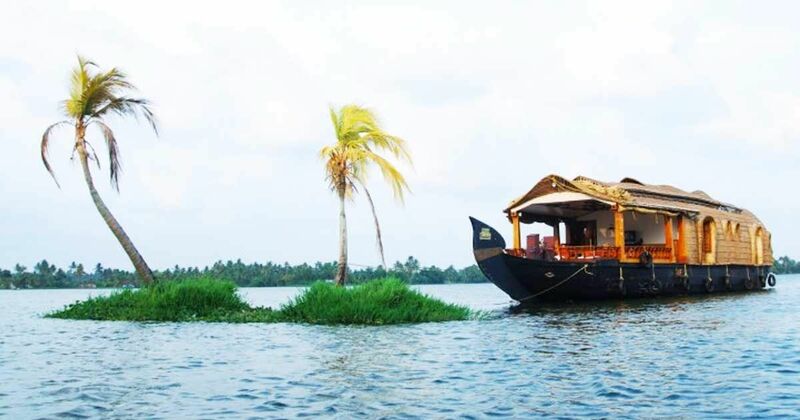 Glide through its Arabian Sea shoreline into the town of Alleppey and you will encounter a houseboat treasure that is worthy of praise. 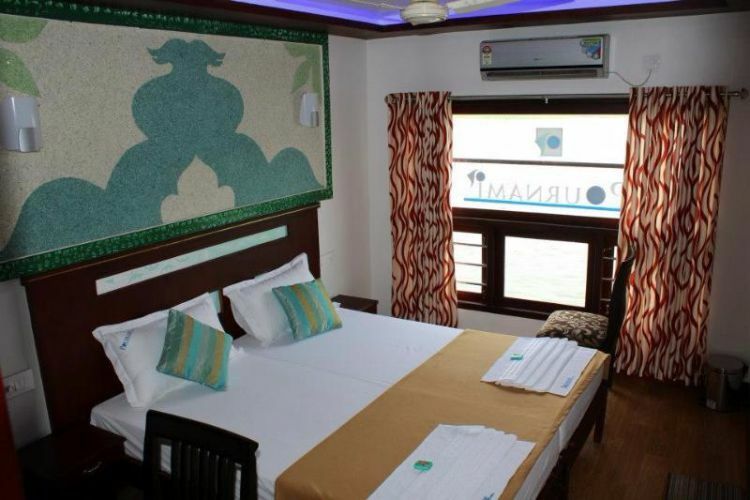 Since its inception in 2007, Pournami Houseboats have been offering a unique hotel experience to the area's visitors. Their floating lodges have gained so much traction that, in 2014, the company won a TripAdvisor award for having some of the best-rated houseboats in the world. Measuring about 60 feet (18 meters) in length, Pournami's exotic vessels are an adaptation of traditional Kettuvallams - boats that were once used to transport rice and spices to the Kerala's main port. Now that the area is no longer an international trading post, the boats can be used to delight adventurous travelers from India and beyond. Intrigued? Then, come take a closer look with us. 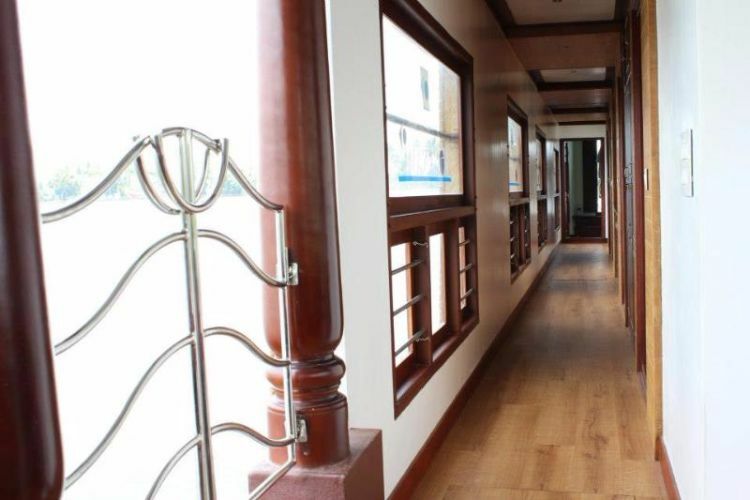 Anjili wood, coated with protective cashew nut oil paint, line each houseboats' exteriors. All of the boats' roofs are made with bamboo poles and palm leaves, and hulls are tightly held in place by coconut fiber ropes. 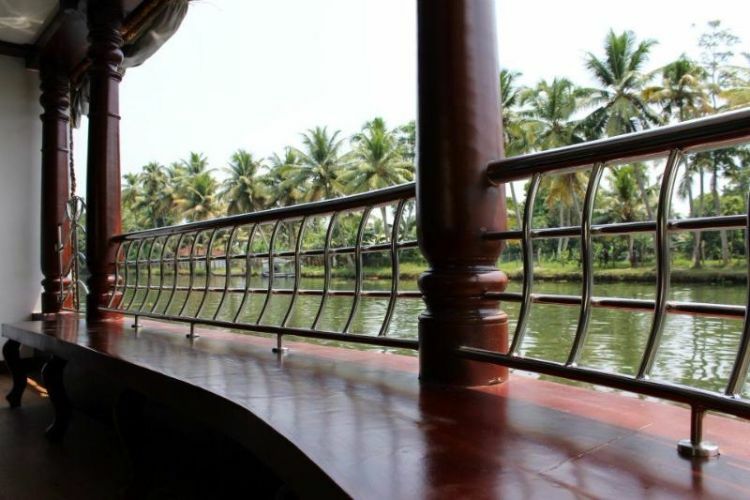 Pournami Houseboats has various accommodation options to choose from. The one pictured above is a four-bedroom, four bathroom vessel. 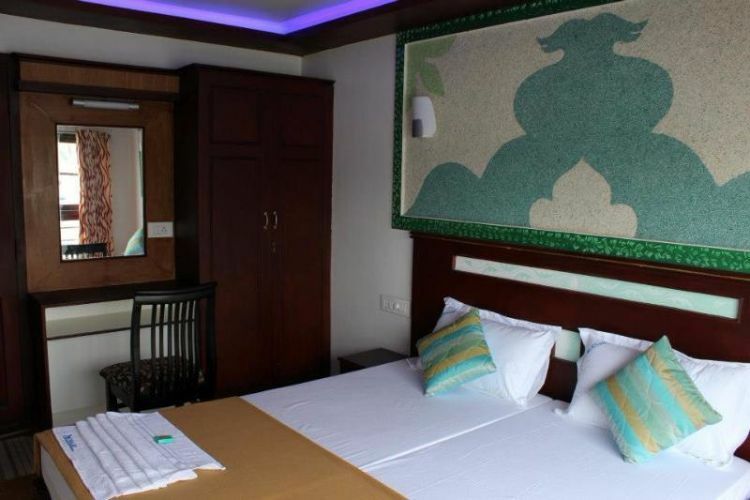 Their smallest boat has a single bedroom, and the largest is a 10-bedroom luxury liner. 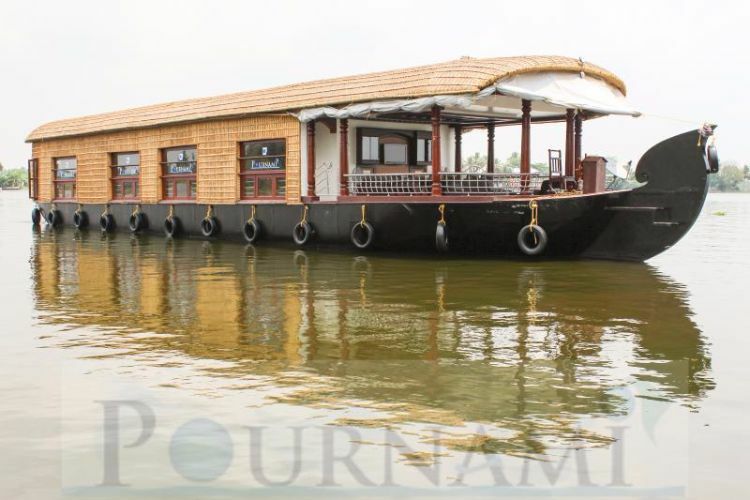 But for the sake of this houseboat tour, let's just stick with the four-bed barge. Board the luxurious fleet to discover a design that knows how to meld traditional conventions with modern furnishings. The open-plan front area is furnished with a dining table, sofa set and a TV. 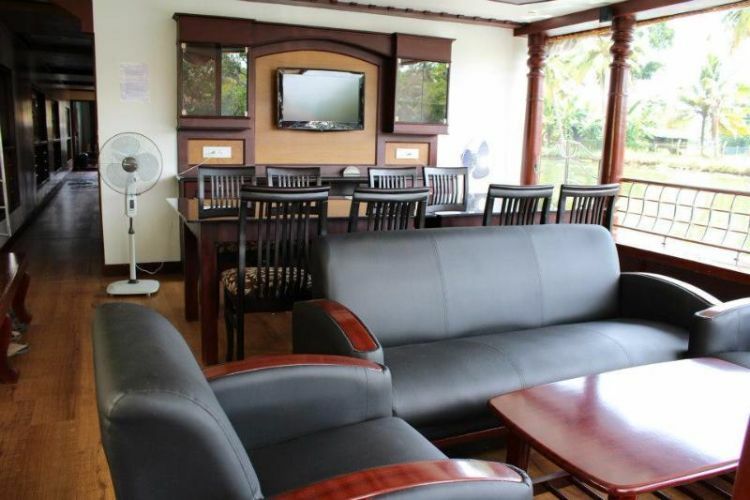 The sleek dining table seats 8 people, which is the maximum number of guests you can have in this four-bed floating hotel. Speaking of dining, Pournami offers honeymooning couples a candlelight dinner, celebratory cake, and a flower bed upon request. This additional option is included in all their houseboat packages. Side benches like these allow visitors to sit back and enjoy the palm tree vistas. A corridor leads us to the four bedrooms. Which bring a dash of Indian flavor to their lush aesthetics. All bedrooms have their own closets and dressing tables. Different colors are a great way to bring out the personality of a room. Here you can get a better view of the different amenities that come in each bedroom, including a ceiling fan and a heat pump. 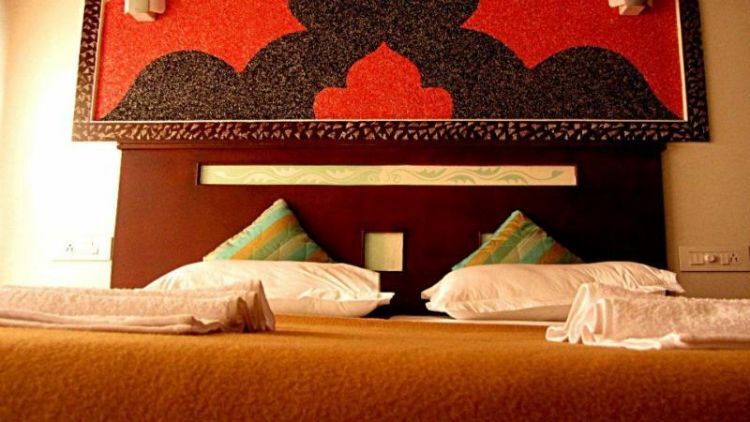 For the most part, the bedrooms are very similar in design. It is the decorative wall art that truly sets them apart. 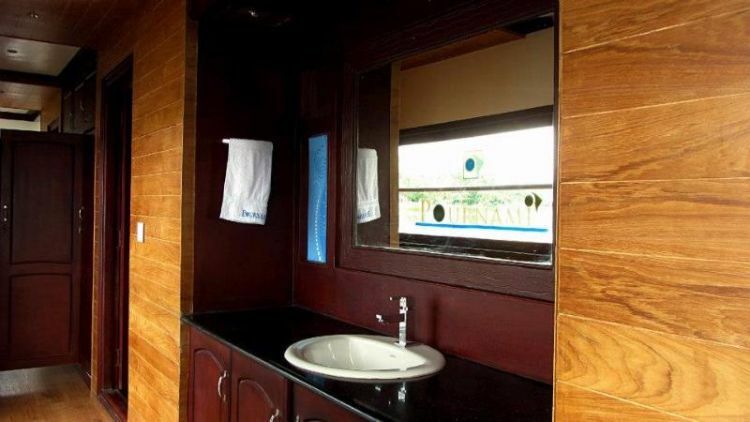 This is one of the washrooms that you'll find in this houseboat. 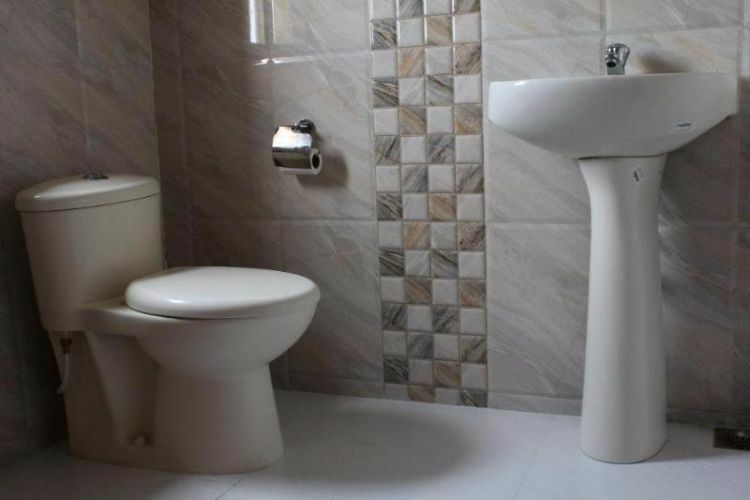 The bathroom itself is very polished, with modern tiles lining its walls. 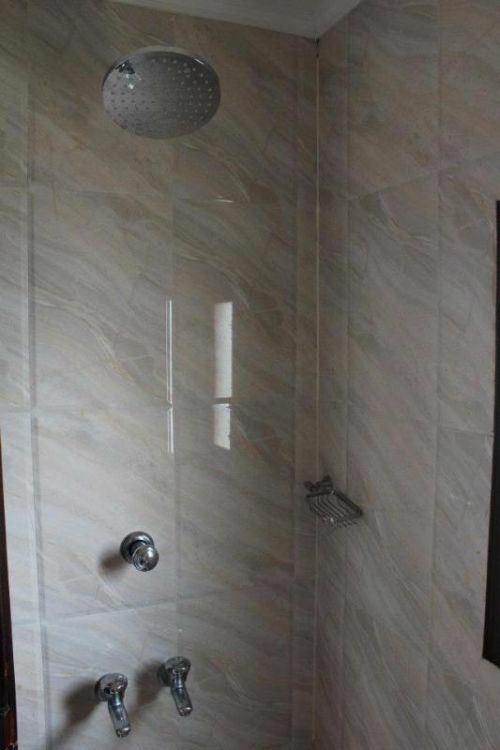 The glass-door shower is very primp and proper too. 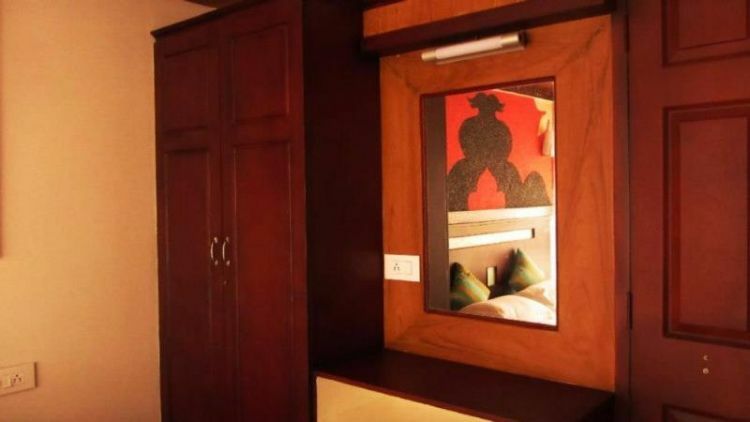 Pournami Houseboats perfectly blend Indian boating tradition with the finest hotel amenities. Beautifully designed inside and out, it is no wonder that this company's houseboats have received such positive critical acclaim along their incredible coastal journey.